NEW YORK (AP) — Consumer electronics retailer Best Buy is pushing more into the health field, acquiring a company that provides emergency response devices for the aging. Best Buy said Wednesday it's paying $800 million for GreatCall. The San Diego, California-based company, which has more than 900,000 paying subscribers, offers services like an easy connection to operators who can connect users to caregivers, answer questions, and more. PARIS (AP) — France's labor minister, Muriel Penicaud, has been summoned for questioning Tuesday in an investigation into a Las Vegas tech party. Paris prosecutors are investigating suspected irregularities in the organization of a costly, high-profile event at the 2016 Consumer Electronics Show. French President Emmanuel Macron, then economy minister, headlined the event. The investigation doesn't target him directly. LAS VEGAS (AP) — Ride-hailing service Lyft is partnering with an automotive technology company to deploy a fleet of 30 self-driving cars to the streets of Las Vegas this summer. China threatened retaliation Thursday against $60 billion in tariffs on information technology and consumer electronics that President Trump is set to unveil. "China will not sit idly by while legitimate rights and interests are hurt. We must take all necessary measures to firmly defend our rights and interests," China's Ministry of Commerce said in a statement. Hempfield electronics recycling company CyberCrunch will host a series of "spring clean up" e-waste recycling events across the region, starting in Murrysville next week. The company will accept old computers and computer accessories, cell phones, iPods, cables and wires for free. For a $10 fee it will accept audio equipment, VCR, DVD and Blue Ray players, coffee makers, hair dryers, toasters and other small consumer electronics. Over the next few weeks, I will be highlighting some great headphones and earphones I came across at the 2018 Consumer Electronics Show. I am starting with what are now my favorite headphones in the $100-and-under category. It is every homeowners nightmare: You go out of town for a day and return home to a damaged house because a pipe burst or a faucet was left on. Uponor North America, through a joint venture named Phyn, might have come up with the solution. The Phyn Plus Smart Water Assistant debuted last month at the Consumer Electronics Show in Las Vegas and the International Builders Show in Florida and is one of the latest entries into the internet of Things category. NEW YORK (AP) — Best Buy Co., the nation's largest consumer electronics retailer, says it will be handing out bonuses to more than 100,000 employees, joining a list of companies sharing a portion of their windfall from the corporate tax reform law with employees. Buy TV. Watch Super Bowl. Return TV. It still happens. It’s not a bright, shiny moment showcasing the best of human nature. The practice called “wardrobing” happens consumers purchase an item from a retailer, use it, and then return it for a full refund. It’s usually done with pricey clothing, hence the name. 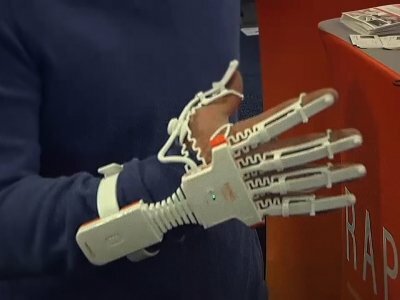 CLEVELAND, Ohio -- Young entrepreneurs from Case Western Reserve University are in Las Vegas this week to display their innovations at the international Consumer Electronics Show. The university is showcasing inventions and business startups created by 10 current and former Case students. Amazon.com Inc.'s Alexa voice-activated virtual assistant will be added to some Toyota and Lexus vehicles this year, advancing Amazon's ambitions to expand its speech platform beyond the home. LAS VEGAS — It seems like every new technology is connected. From shoes to toothbrushes to wine racks and pet food bowls, it all can connect over Bluetooth, Wi-Fi or cellular service. Now your credit card can, too. Dynamics Inc., a payment technology company headquartered in Harmar, announced a credit card Monday at CES, the world's largest consumer electronics trade show, in Las Vegas that comes packed with a cellphone chip, antenna, battery and nearly 200 other parts. Wondering what wine to serve with dinner tonight? There's not only an app for that but an entire networked wine rack to help you choose. Caveasy, a smart wine rack that can keep an inventory of your bottles and suggest the right red or white for dinner, was one of the hottest items on display Sunday at CES Unveiled. 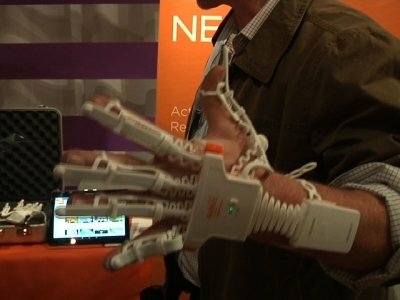 CES Unveiled is a preview for journalists of some of the newest technology that will be on display when CES opens this week. LAS VEGAS -- Mr. Beams, a Cleveland-based LED lighting technology company, has been purchased by Ring, a leader in home security, it was announced Monday at CES, the consumer electronics show in Las Vegas. The global auto industry and Silicon Valley will be looking for potential alliances and marriages next week at the CES technology show in Las Vegas when automakers, suppliers and start-ups come together to flex their tech. The automotive industry for years has tried to shed its image as slow-moving, trying to prove it can adapt to the fast-paced technology sector by making a showing, but automakers are still looking for their place at the annual technology exhibition. With another high-tech holiday nearly in the bag, the founder of a Minneapolis startup that sells protection plans for all those spendy gadgets is gearing up for growth. Entrepreneur Clarence Bethea is fresh off a 13-week boot camp sponsored by Techstars and Target Corp., where he said he gained the focus, expertise and fundraising tools to build on early successes of his fledgling warranty protection company, Upsie Technology Inc.
BEIJING (AP) — An executive of Huawei says the Chinese smartphone brand will start sales in the United States through phone carriers next year in a move that would dramatically increase the American presence of the No. 3 global handset seller. MARION, Ind. (AP) — Authorities say six firefighters have suffered minor injuries after two explosions and a fire at the former Thompson Consumer Electronics plant in Marion. Marion Fire Chief Geoff Williams says two tanks containing unconfirmed substances exploded, causing ringing in the ears of four firefighters, and another firefighter cut his hand. Assistant Chief Tony Fox says a sixth firefighter injured his shoulder in the Saturday evening blaze. If you're scouting out the best Black Friday deals, you're far from alone. Each year, many Americans look forward to the thrill of the hunt when it comes to securing the best bargains retailers can offer. CARMEL, Ind. (AP) — The company once known as Thomson Consumer Electronics plans to close its suburban Indianapolis operations by year's end. TOKYO (AP) — Sony's fiscal first quarter profit nearly quadrupled from a year earlier, boosted by its lucrative image sensor and other businesses and highlighting a gradual recovery at the Japanese electronics and entertainment company. PARIS (AP) — A French investigation into a Las Vegas tech party is putting new pressure on President Emmanuel Macron's labor minister — and possibly the president himself — as they pursue difficult reforms to French work rules. The Paris prosecutor's office opened a formal judicial inquiry Friday into suspected irregularities in the organization of a costly, high-profile event at the 2016 Consumer Electronics Show that Macron headlined when he was a French government minister. Our appreciation of the great outdoor is often instilled in us from childhood. The summer places we loved as kids are now the destinations we frequent as adults. So what happens to our unspoiled destinations when they are inherited by a generation raised on theme parks and the incessant entertainment of consumer electronics? Will this generation with a smartphone as an appendage be interested in preserving such places if they don’t appreciate their intrinsic value? INDIANAPOLIS (AP) — Consumer electronics chain hhgregg Inc. is going out of business and shutting down all its stores. The Indianapolis company said Friday that it will liquidate its assets after failing to find a buyer for the business. It filed for bankruptcy protection in March. Founded in 1955, the retailer had 220 stores in 19 states selling major appliances like washers and TVs, as well as computers and home theater systems. As of May last year, it had about 5,000 employees. ZURICH (AP) — Racing to find sponsors for the 2018 World Cup following corruption scandals, FIFA has again found help in China — this time with consumer electronics firm Hisense. The 16-month deal announced Thursday by Hisense's British division is unusually short for FIFA, which typically looks for contracts of at least two World Cups. PARIS (AP) — French prosecutors have opened a preliminary investigation into suspected favoritism surrounding an event in Las Vegas promoted by presidential candidate Emmanuel Macron last year, the Paris prosecutor's office said Tuesday. Macron, however, isn't involved so far in the investigation. The independent centrist candidate is one of the top contenders for the April-May two-round presidential election and has increasingly appeared in polls as the front-runner to win it. LAS VEGAS — It's official. The future is here. 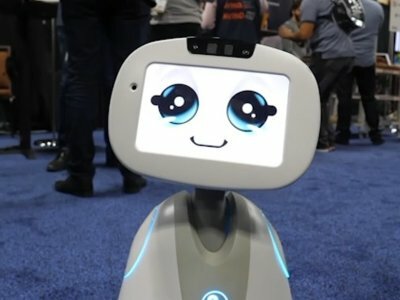 Seven Dreamers Laboratories, Inc. revealed the world's first laundry-folding robot of its kind at the Consumer Electronics Show in Las Vegas, NV on Jan. 7. The bot is called Laundroid and can both sort and fold clothes, unlike any other robot on the market. DENVER (AP) — Panasonic is planning to test internet-connected and self-driving cars on a 90-mile stretch of Interstate 70 in Colorado. The Denver Post reports (http://dpo.st/2hWBLTC ) that Panasonic officials on Wednesday announced their partnership with the Colorado Department of Transportation at the Consumer Electronics Show in Las Vegas. GREEN BAY, Wis. (AP) — Meander your way through the right Green Bay office basement and you'll find the world headquarters of a consumer electronics company. You probably haven't heard of Xensr — pronounced "sensor "— unless you're big into kitesurfing, snowboarding, surfing or other action sports, USA Today Network-Wisconsin (http://gbpg.net/2epqnj7 ) reported. SEOUL, South Korea (AP) — Samsung Electronics said Sunday it will offer an artificial intelligence assistant service in the upcoming flagship smartphone, as the South Korean firm seeks recovery from its global smartphone recalls.